"We need to start treating housing as a right rather as a commodity". Despite President Juncker’s cheerful speech, actual recovery in the EU cannot be celebrated as long as it is confronted by an alarming housing challenge. Cédric van Styvendael is president of Housing Europe, the European Federation of Public, Cooperative and Social Housing. The organisation will present the ‘State of Housing in the EU 2017’ report on October 17th at the European Parliament and in the Committee of the Regions. What will the future of the European Union look like? Listening just to President’s Juncker State of the Union speech one can only be optimistic since growth has returned to our continent, the numbers are on the positive side again and the Commission can focus on delivering its plan for the EU’s future. I wish I could share Mr Juncker’s optimism, but the situation on the ground is quite different. Prosperity seems not to have knocked on the door of most of our fellow Europeans. There is no better indicator than housing to help us do a reality check. 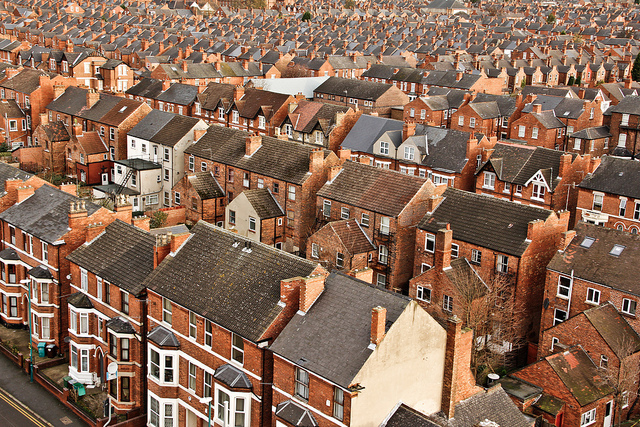 The housing sector can be used as a litmus test for the broader economy and society. 2016 saw the highest increase in prices since the crisis. 11 European countries have surpassed the annual growth rate to above the alarm threshold. A lack of affordable housing and resulting exclusion are among the key risks faced by our cities, regions and societies at large. Eurofound is warning that inadequate housing costs our economies 195 billion annually. At the same time, one in ten Europeans spends more than 40% of their income on housing related expenses. The human and economic cost of what is a policy failure, or in some cases a policy vacuum with over reliance on the market, is becoming difficult to brush over. Financialisation of housing was at the core of the free fall that both the European and the global economy have experienced nine years ago, but the provision of public, cooperative and social housing, generates growth, jobs, without contribution to speculation. I couldn’t agree more with the UN Special Rapporteur on Adequate Housing that we need to start treating housing as a right rather as a commodity; as an investment with a valuable return rather than a cost. Housing associations in Europe have managed to deliver more than 440,000 new affordable homes during the peak of the crisis, offering rents significantly lower than the market- up to 60% lower in some cases – but also services that cater for increasingly diverse needs (the elderly and the disabled) to help people accessing and keeping accommodation as well as working to decrease energy consumption and bills for residents. However, still, most major European cities are confronted with a lot of pressure when it comes to housing. Urbanisation, migration, labour mobility and demographic changes feed rising housing exclusion rates. The public, cooperative and social housing sector has already welcomed the European Fund for Strategic Investment (EFSI), submitting a number of projects that are already working on the ground for funding. From 2011 to 2015, EIB social housing finance amounted up to €5bn, while so far, the largest share of the EFSI social infrastructure support has been channelled to our sector. However, there is still a lot to be done given the 10% target. Furthermore, it will be key in the years to come that the EU Cohesion Policy further supports these positive experiences and helps Europe house responsibly so that all citizens can benefit. For this, simplicity in accessing funds for those engaged on the ground will be key. The possibility to blend grants and loans (Structural Funds, EIB loans, European Fund for Strategic Investments etc.) is vital. In any case, before we start discussing the tools and the practicalities we have to commonly acknowledge one thing. Housing for all should not just be a vision, it’s our obligation. We are lucky to live in probably the most privileged part of our world today but we still need to make sure that nobody is left behind. For as long as there are people without a decent roof over their heads, we cannot be calling the State of Our Union anything but critical.